The objective of the effort presented in this Ph.D. work is to port an unstructured CFD solver, reconstructed discontinuous Galerkin flow solver (RDGFLO), onto GPU platform based on OpenACC. The solver is based on a third-order hierarchical Weighted Essentially Non-Oscillatory (WENO) reconstructed DG methods. By taking advantages of the OpenACC parallel programming model, the presented scheme requires the minimum code intrusion and algorithm alteration to upgrade a legacy CFD solver without much extra time of effort in programming, resulting in a unified portable code for both CPU and GPU platforms. Meanwhile, a new family of hyperbolic rDG methods has been developed based on the first order hyperbolic system. By combining the advantages of the FOHS formulation and the rDG methods, an effort has been made to develop a more reliable, accurate, efficient, and robust method for solving some model equations including diffusion equation, advection-diffusion equation and ultimately the incompressible and compressible Navier-Stokes equations on fully irregular, adaptive, anisotropic, unstructured grids. Numerical results from both flow cases and model equation cases have shown that the developed GPU accelerated rDG method and the hyperbolic rDG schemes have great potential for further investigation. Jialin received the Bachelor’s degree of engineering in Engineering Mechanics at Beijing Institute of Technology (BIT), Beijing, China, in June 2013. Later, he was enrolled in the direct path from BS to Ph.D. program of Aerospace Engineering with Minor in Mathematics-GM, in the Department of Mechanical and Aerospace Engineering at North Carolina State University (NCSU) since August 2013. His academic advisor is Dr. Hong Luo. He received an en-route master of science degree in Aerospace Engineering in May 2016. 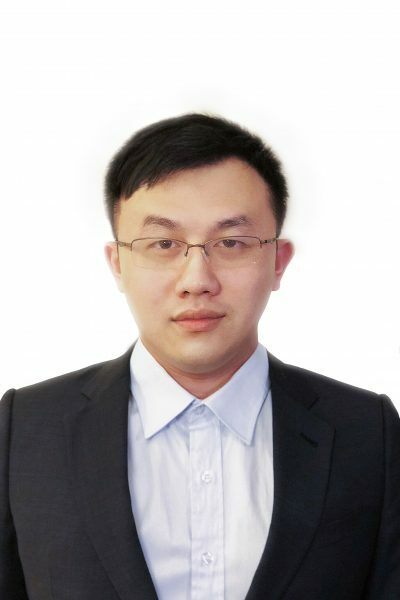 His research interest lies in high order numerical schemes for CFD in CPU/GPU platform.